Female fully winged. Body yellow, abdominal apex and distal antennal segments light brown; fore wings pale. 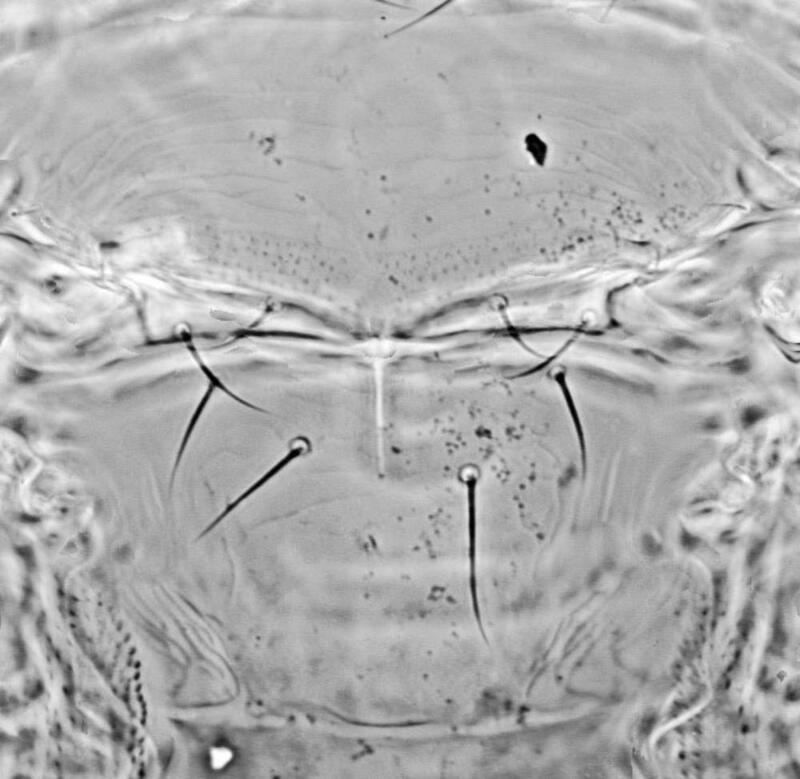 Head wider than long; 2 pairs of ocellar setae, pair III longer than width of eye; one small tubercle on inter-antennal projection; ocellar region with no sculpture, vertex with a few transverse lines. 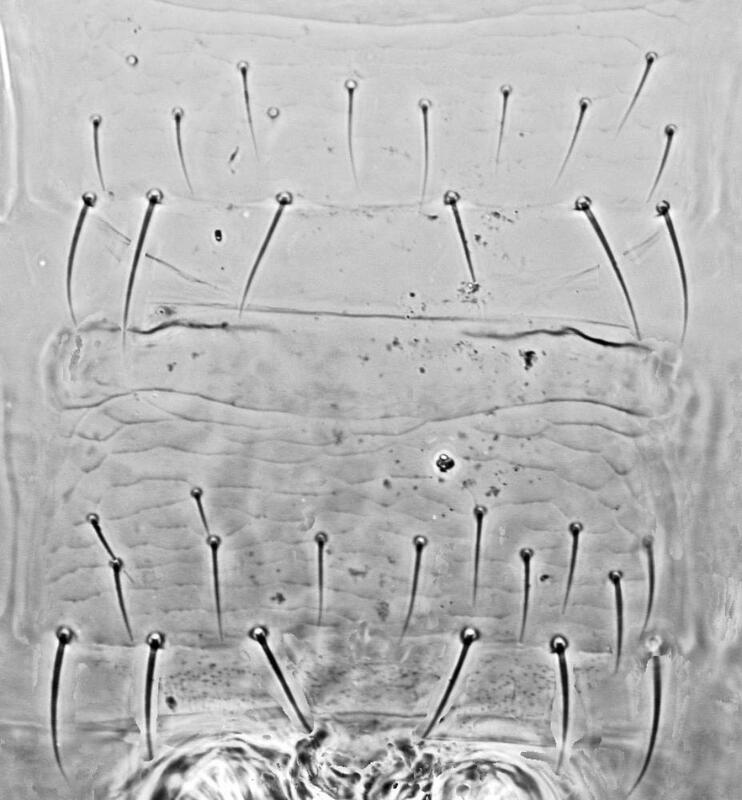 Antennae 8-segmented; segment I with paired small setae on dorsal apex; segments III–IV with small slender forked sensorium. Pronotum without sculpture; 2 pairs of long posteroangular setae, 2 pairs of posteromarginal setae. Metanotum without sculpture; median setae far back from anterior margin; no campaniform sensilla. Fore wing first vein with 2 setae on distal half; second vein with about 12 setae. Abdominal tergites with weak sculpture lines laterally; tergite VIII with no marginal comb; tergite X with no longitudinal split. Sternites III–VII with 6–12 discal setae. The genus Trichromothrips includes worldwide a total of 34 species (Masumoto & Okajima, 2005), including species that at one time were placed in the genus Dorcadothrips. 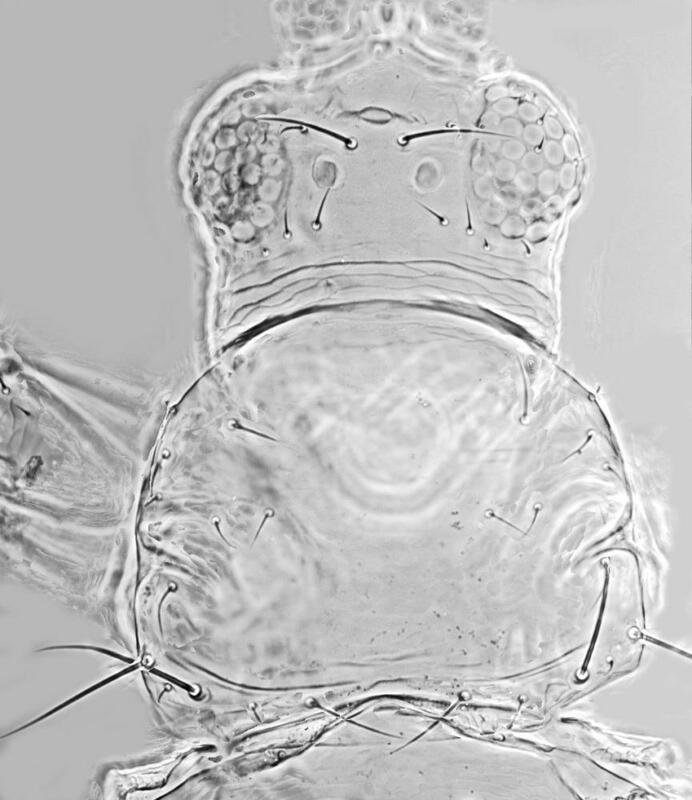 A second species recorded from California, T. xanthius (Williams), can be distinguished by the presence laterally on abdominal sternites V–VI of paired dark, coarsely-grained areas of sculpture. T. xanthius is apparently associated with orchids (Bhatti, 2000). Cyperus rotundus (Cyperaceae) (Bhatti, 2000).